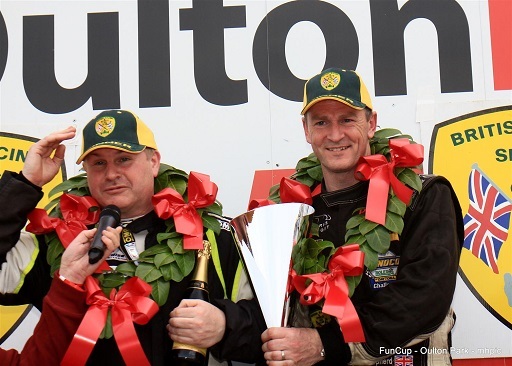 Jay Shepherd brings home another podium at the weekend for Team Eco Racing car 61. It was a close drive until the very end! Team Eco Racing very nearly taking the win - However with the bad weather and hard racing it was Team Uvio taking the well deserved victory, followed by DespatchBay.com and Team Eco Racing car 61. Thank you to the team and Eco Racing for the opportunity, drivers Alan and Rory Brown for a storming race. 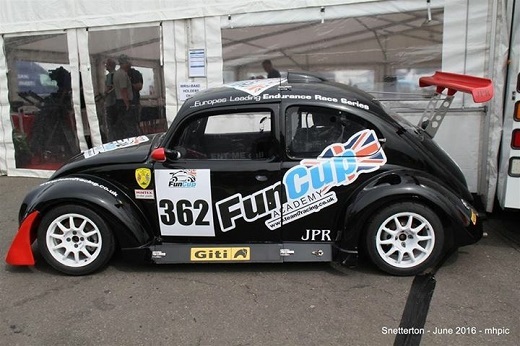 We are pleased to introduce our twin seater FunCup Academy race car. We are available to carry out training, tuition and ARDS testing at circuits such as Donington Park, Oulton Prak, Rockingham and Mallory Park. The pinical of the Funcup Championship is the annual meeting at the famous circuit Spa Francorchamps. Attracting over 150 cars on the grid for a 25 hour endurance race. This is a championship that allows the twin seater cars to compete with passengers in a live race, allowing exceptional marketing and sponsorship opportunities. Funcup team Sheradize UK invited Jay Shepherd to race their car as part of a two driver line up for Round 2 of the 4 hour Funcup Endurance race at Oulton Park. With owner driver Peter Belshaw and Jay Shepherd at the wheel, they were putting in some competitive lap times taking home the win. Thank you to Peter Belshaw for the opportunity and to all of the JPR Motorsport team. 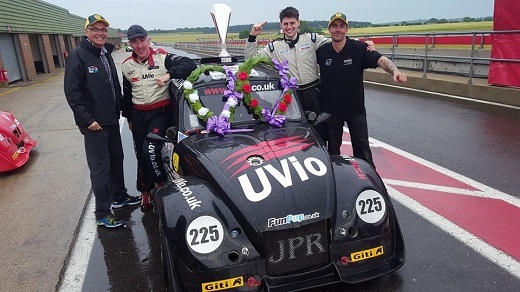 The Funcup Academy has been created to introduce drivers from 16 years in to car racing, to enable them to forge a Motorsport career starting in the Funcup Endurance Championship. From a twin seater Funcup experience to taking your ARDS licence and a season in the Funcup Championship, we are here to guide you from the start. 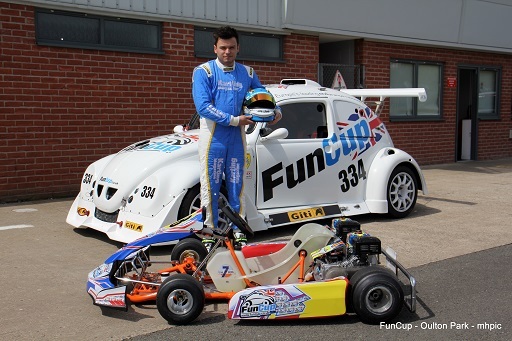 Our website is currently in the process of being updated with all the Funcup Academy information. In the mean time, please do not hesitate in contacting me. Jay Shepherd (Funcup Academy) and Chris McCarthy (Karting Magazine) out to evaluate the Funcup Championship on Friday 6th May. Jay took Chris around Oulton Park in the twin seater Funcup car. Full report out next week in Karting Magazine, Team7Racing and Funcup Academy.